"Their teaching materials are excellent and God's Word is taught throughout the program." 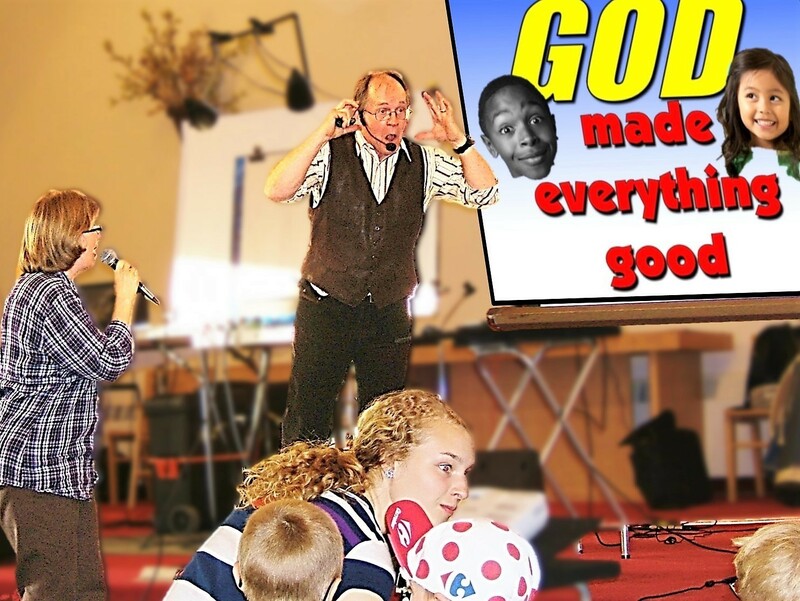 "The Wallaces' presentation is exciting, entertaining, fast-paced with an excellent variety - singing, puppets, air brush cartooning, illustrated Bible stories, and a power gospel presentation." The Wallaces do not handle crafts or outside games. But will send craft and game ideas. Every summer churches have the opportunity to participate in VBS! It’s such a blessing to see how VBS makes a difference in the lives of children and their parents. Kids from church bring their unchurched friends to VBS, and the kids bring their parents. Together they’ll hear the life-changing message of God’s love and grace. For some, it’s the first time they’ve heard how much Jesus loves them and wants them to be a part of God’s family. 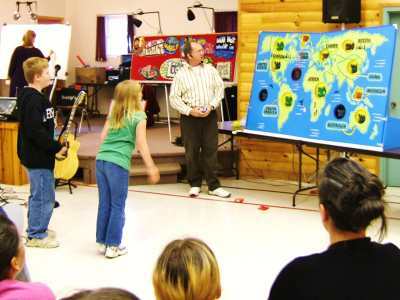 Teaching kids about Jesus’ message of salvation is why VBS programs were created. The Wallaces are flexible and are willing to work with in your schedule. Important Note: Our one goal is to see children come to know who Jesus Christ is and to believe in Him. We are not just entertainers nor baby sitters, yet we will use our talents with the Holy Spirit's power to make the truths of God's Word come alive to the children. ~live cartooning where Jerry takes a child's name and draws a goofy character from the first letter of their name. ~ a animal teaching where we explore God's creation. ~slight of hand object lessons. At the conclusion of the program each child is invited to respond to the claims of Jesus Christ and receive forgiveness of their sins and the gift of eternal life. A gentle child friendly invitation is given without emotional pleas or fear tactics. We present a closing program for parents with the children singing the songs they have learned and a very special entertaining program that presents the Gospel message for all. Click on poster to go to downloadable full color posters. repeat after me”. Pastor Jerry will lead them in a short conversation style prayer. Live cartooning where Jerry takes a child's name and draws a goofy character from the first letter of their name. The children get to take their drawings home. We have met youth years later who still have theirs on their bedroom wall. We teach and emphasis one Bible verse throughout the week going over all the aspects of it. John 3:16 For God so loved the world that He gave His one and only Son, that whoever believes in Him should not perish but have everlasting life. “For God”:--God made His world, and us. 2. The Great Love And "God so loved" us. Thursday: should not perish but have everlasting life. Coloring sheet masters to make copies from. A community VBS also offers the possibility of establishing relationships with parents. It opens avenues of communication, displays servanthood and invites them into your building, giving them a chance to meet local Christians. Whether it’s a sign at the local grocery store, a sign in front of the church building or television or radio spots, advertisements are noticed and many parents will take advantage of the offer, granting you an occasion to show their children Jesus. A community VBS also offers the possibility of establishing relationships with parents. On the final night of the closing VBS this young mother came with her children who had attended all week and won the airbrush painting that Jerry painted in the program. She was moved to tears.